Watch how this man turned an airplane into his own home! It looks incredible on the inside! Wait until you see what this airplane looks like on the inside! Bruce Campell, now a 64-year-old retired electrical engineer, has always been very creative and he always had a vision. When he was at the start of his twenties, he bought a 10-acre piece of land for 23,000 dollars right in the forest of Hillsboro, Oregon. He knew exactly what he wanted to do with it. Out of an old airplane and a large piece of land, he made himself the most unique home we have ever seen. The inside is so special! Ever since he was young guy, Campbell loved tinkering with old objects and creating new things out of them. His plan for this piece of land was always to use it as the spot to build his own home. His initial plan was to fashion a home out of several different freighters. He thought it was a very innovative plan, but then Bruce heard about a home built by someone else in another place. About twenty years after he first came up with his own plan, Bruce heard about Joanne Ussery, a hairdresser from Mississippi. 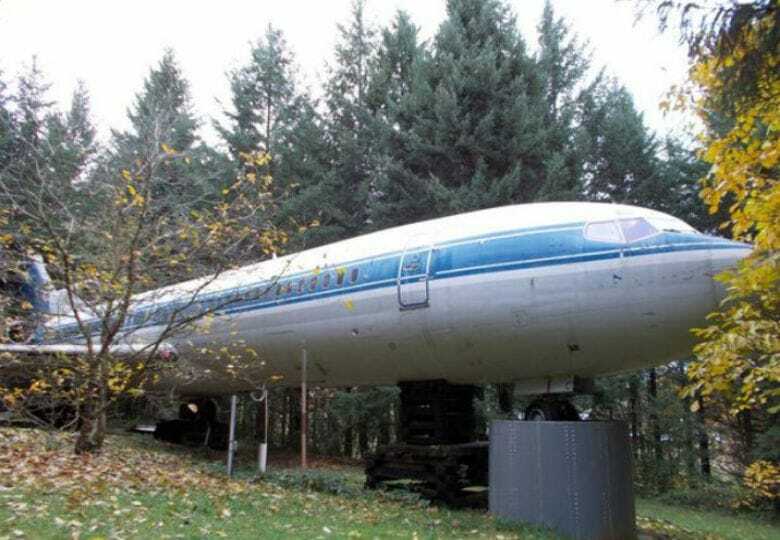 Joanne had bought a Boeing 727 and transformed it into a home for herself. Sadly, her previous home had burned down, so she chose to do something entirely different and renovate an actual, functional airplane next to a calm and peaceful river. This made Bruce think and after a while, he decided to change his plans. And he changed them quite drastically! Keep reading on the next page to find out how Campbell made a home out of airplane and to take a look at the pictures!